Prosthetic Hair vs. Hair Restoration: Which Is Best? 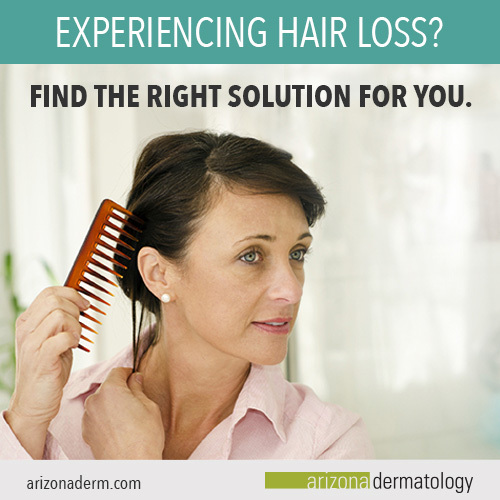 Hair loss can be a frustrating condition to live with. When you experience hair loss, you’re oftentimes left questioning what caused your hair loss and how you should treat your condition. But don’t worry—you can now say goodbye to those frustrations, as our top doctors at Arizona Dermatology are here to help. When patients start to experience hair loss, they tend to turn to the most obvious solution. This typically includes purchasing wigs, hair extensions, and hair pieces. These hair loss solutions have been a growing trend recently because they’re inexpensive, don’t require a lot of time, and go unnoticed by others. However, while wigs, hair extensions, and hair pieces do their part in hiding hair loss, patients tend to overlook the side effects of these solutions. Oftentimes, hair extensions and hair pieces are put in using harmful products such as glue and other adhesive elements. These products actually contribute to hair loss, leaving the patient in a more severe situation than before they proceeded with this solution. Additionally, prosthetic hair is a temporary solution. At the end of the day, when it’s time to take the prosthetic hair out or off, patients have to face the fact that their scalp is still being impacted by hair loss. To help you get a better idea of whether prosthetic hair is the right solution for you, we’ve provided pros and cons to the solution below. If you find that wigs, hair extensions, and hair pieces aren’t for you, we recommend seeking out a more permanent solution for your hair loss. These hair restoration procedures use revolutionary techniques to restore both your hairline and your self-confidence, permanently. Hair laser therapy is a treatment in which light-emitting diodes (LEDs) are released onto the patient’s scalp. These low-level lasers alter the cellular function of the targeted area, which helps to increase blood flow and nutrient delivery to the cells. These elements promote healthy hair growth, giving the patient thicker, stronger, healthier hair they can call their own. Hair transplantation is a procedure that’s helpful when patients are thinning or balding in certain areas. This is because during the procedure, the healthy, unaffected tissues are used for transplantation. By taking the healthy tissues and transplanting it to the thinning or balding areas, this procedure guarantees the growth of new, healthy hair in an otherwise thinning area. Finally, the last hair restoration treatment we’ll cover is called plasma rich protein, or PRP. This procedure uses your own blood to promote healthy hair growth. During the procedure, patients are injected with platelets derived from their own blood to stimulate natural hair growth. To better understand whether a hair restoration treatment is right for you, read on for the pros and cons of this solution. Before making a final decision on which hair loss treatment if best for you, it’s important to first understand why you’re losing your hair. Only after understanding this, can you start to treat your condition properly. Alopecia areata: The most common form of hair loss. With this condition, hair loss will occur on the scalp in the form of round patches. Alopecia totalis: This form of hair loss results in complete baldness, as all the hairs on the scalp are impacted. Alopecia universalis: This condition is the most severe, where hair loss occurs not just on the scalp but also all over the body. The cause of hair loss can be a tricky element to pinpoint specifically, as there are a wide range of contributing factors. Typically, one factor will affect a patient more than another. However, there are times where the patient’s hair loss can be accredited to several different factors. Occasionally, hair loss can be reversed by accommodating for some of these factors. For example, if your hair loss is caused by lack of sleep and poor nutrition, you may be able to reverse your symptoms by sleeping for longer periods of time and ensuring that your body receives appropriate nutrition. On the contrary, hair loss is often a condition that’s unfortunately difficult to reverse on your own. For many, this can be a frustrating truth to digest. If you find yourself in a similar situation, know that you’re not alone. If you still find yourself questioning, “Prosthetic hair or hair restoration? Which is right for me?” we recommend getting a second opinion. In our professional opinion, the only way to safely, effectively, and permanently reverse the signs of hair loss is through a hair restoration treatment. Hair restoration treatments are the only way to get natural looking hair that you can call your own. 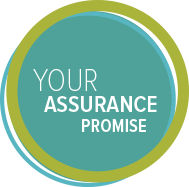 We believe that these benefits far outweigh the potential benefits of a temporary, prosthetic solution. For more information on our hair restoration treatments, don’t hesitate to get in contact with us today. The future, hair loss-free version of yourself awaits.